Throughout her life Brenda has been a prolific painter. Despite her passion and talent, however, domestic and familial responsibilities have always taken priority over her art practice. 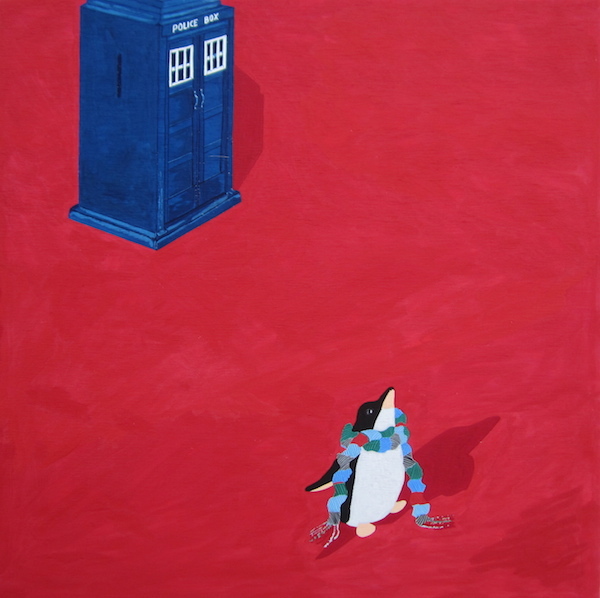 In response to this, Brenda and Miranda came up with a domestic-artistic arrangement that would allow Brenda to focus on her painting and produce a significant body of work for this show. It involves the use of housework as a curatorial strategy whereby Miranda, in her role as curator, fulfils a share of her domestic responsibilities each week so that she can maximise her time spent painting. Brenda and Miranda’s partnership has given rise to many fruitful discussions regarding women in the art-world, mother-daughter collaborations, the artistic value of housework and reproductive labour, housework as a curatorial strategy, emerging middle-aged female artists, and the contemporary relevance of the 1970’s International Wages For Housework Campaign. 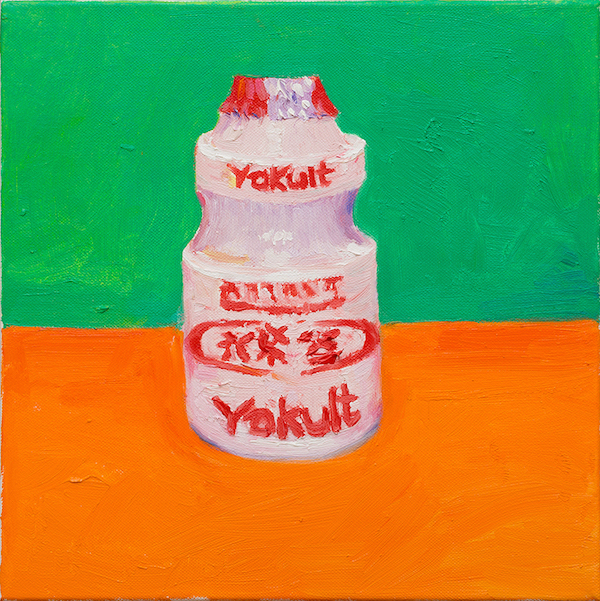 Brenda will exhibit her most recent body of work – a series of small still-life paintings that depict objects emblematic of contemporary consumerist culture. In her impasto renderings of anti-ageing moisturiser bottles, takeaway coffee cups and cans of home-brand beetroot, she invites viewers to reflect on a number of things; the seduction of packaging, our quest for youthfulness and the geopolitics of food consumption to name a few. Photographs lack the peripheral experience of viewing a scene first hand; images often don’t match up to how we perceive a landscape first hand. This is especially the case when looking out to sea; An Endless Horizon is a series of images exploring the peripheral view. Using a self-developed photographic process, Matt captures images of the ocean that cover a whole roll of 120 photographic slide film, an attempt to make the largest image possible within the constrains of the medium. 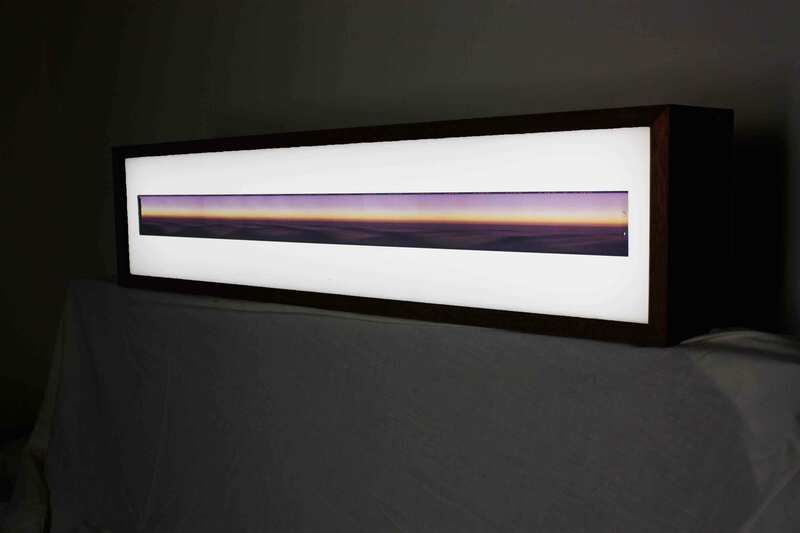 Image: Matthew James, An Endless Horizon, 2014/15, velvia Slide film, wooden lightbox, 20 x 20 x 90cm each. Photo Credit: Matthew James. 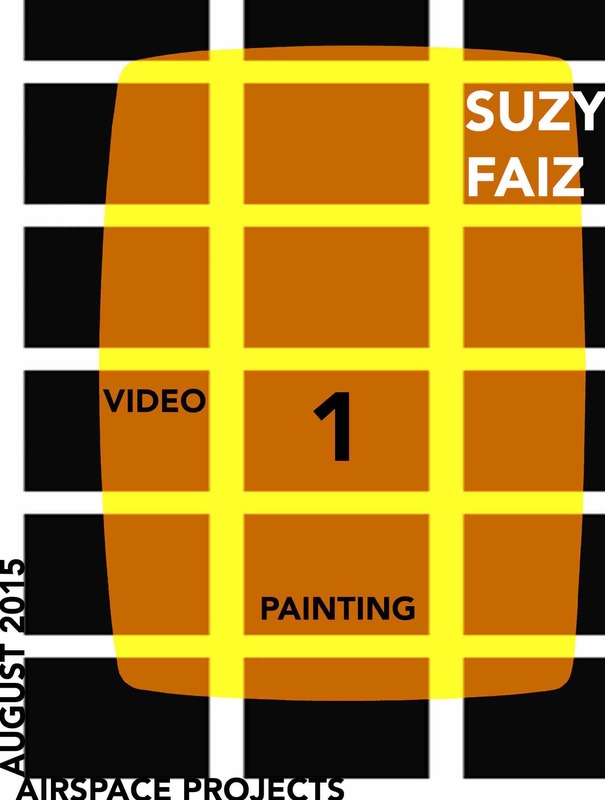 Suzy Faiz’ work addresses the materials, conventions, styles and histories of painting. It attempts to extend the traditions that it emerges from. She creates paintings as they allow for the continuation of notions of freedom; something that is significant in both art and life. Suzy Faiz’ work deals with recent contemporary attitudes towards abstraction and can be seen to be working within and against this framework by experimenting with different techniques and solutions within the practice of painting.